Leanne Tander is excited to see fellow female racer Simona De Silvestro sign up for three years in Supercars, and believes the long-term deal will be the key to her success. 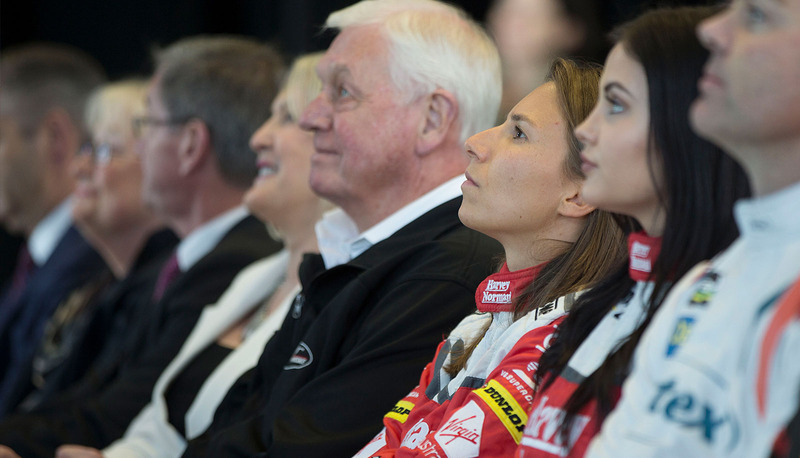 Tander – who has raced a Supercar at Bathurst and is considered one of Australia’s best female drivers – believes De Silvestro is a good fit for the series and that she will perform well once she settles into the category. The Swiss racer impressed at Mount Panorama last year paired with Renee Gracie, but Tander insists it will take time for her to challenge consistently, tipping her to emerge in mid-2018 with more Supercars experience under her belt. “I think the fact it’s a three-year deal is really important,” Tander told supercars.com. “The one-off race at Bathurst is great, it gets attention, but it doesn’t really further women in the sport. You’ve still got the haters – if something happens it’s because they weren’t up to job, or whatever the case may be. “Three years … is going to give her time to learn the craft required for V8s, because it is physically different to anything else around; to settle into the country, settle into the team and really show what she’s capable of, instead of just being thrown into the deep end for one race. It’s not much opportunity to give you the best shot of doing well, and that’s what we do need, we do need a female who is going to get in that series and do well, not just run around in 25th three seconds off the pace round after round. 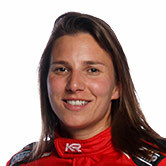 De Silvestro has an impressive resume, with stints in IndyCar, Formula E, and as a Formula 1 Sauber test driver. Tander believes she is the best fit for a full-time female right now, as young Australian racers like Gracie and Chelsea Angelo find their feet in the Dunlop Series. “It’s probably too early in their careers right now,” Tander said. “If this had been around 10 years ago, it might’ve been something I could’ve taken up but right now, if they want a woman in Supercars full-time, Simona is a great choice. “You could see when she was here last year, the way she goes about it – she’s no fuss. She’s there to race, she’s not just trying to look good or any of that. She’s a serious racer and I think this is as exciting as if they’d got any male driver of her calibre around the world to come into the series. De Silvestro will again race a wild card entry at Bathurst with Gracie – this time in a Nissan Altima – before tackling the category full-time. Tander is back in racing this year and leads the National Formula Ford Series with two rounds to go. The 36-year old mum juggles the category with two children under five, studying sports psychology and supporting husband Garth Tander, who sits 11th in the Virgin Australia Supercars Championship and is defending the Pirtek Enduro Cup over the next three events. “I entered the series (not wanting) expectation on me that I’m going out to win,” she said. “Of course I want to win but I’m juggling kids and study and all the rest, I don’t know if I’m going to have the time to commit to really make it happen. “Of course as soon as I got to the first round I’m on the pace and the story changes … I’m leading and pretty determined now to finish it off and come away with it.